May 4, 2018 -Believe it or not, this creature is from one of the most beautiful families in the animal kingdom. It’s a Melibe viridis, a carnivorous nudibranch, also known as a sea slug. 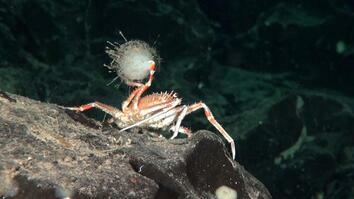 Underwater cameraman Jace Green spotted this one deep in the Ceram Sea during a night dive. 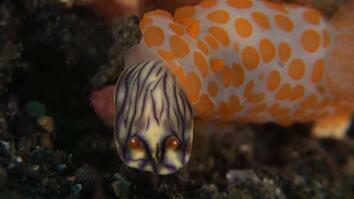 Nudibranchs are shell-less mollusks that can be brightly colored or drab to match their surroundings. 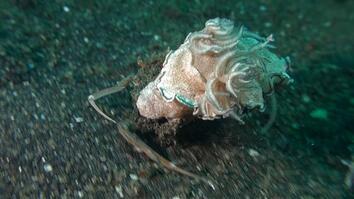 They’re found on the sea floor feeding on algae, sponges, anemones, corals, barnacles, and even other nudibranchs.